We are pleased to be able to offer affordable rental space to non-profit organizations, businesses, and our members for classes, meetings, retreats, lectures, concerts, luncheons, etc. 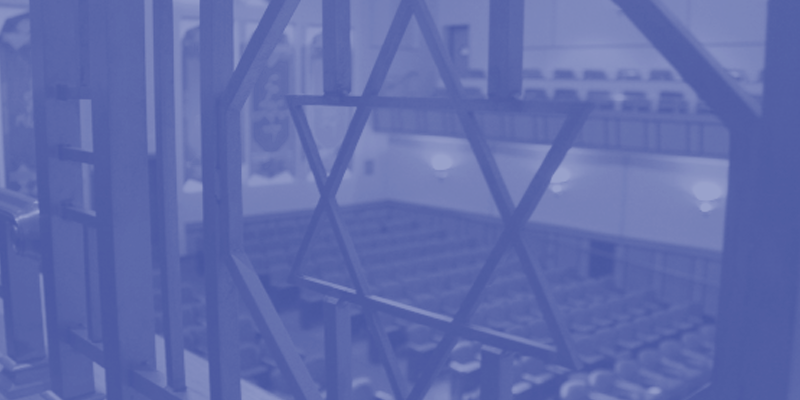 Our staff will be happy to help you plan your event at Rodef Shalom and to work with the party planner, caterer, or other service provider of your choice. Aaron Court: perfect for small ceremonies, meetings, breakfasts, brunches, luncheons, cocktails and dinners. Two sets of French doors open to the Small Dining Room, which is included in the rental fee. Please consult the Events Director about the room capacity for specific usage. Adult Learning Center Rooms: can accommodate approximately 25 -35 people for seated lectures or classes. Light refreshments may be served in these areas. Classrooms: a variety of options with varying sizes that can accommodate 20 - 40 people for a seated lecture or class. Beverages are permitted. Deaktor Terrace: 81’x 23’ of outdoor space adjacent to Freehof Hall that is perfect for wedding ceremonies, small receptions or cocktail parties. Please note: the terrace is not covered – tenting from an outside company can be retained at renter’s expense. 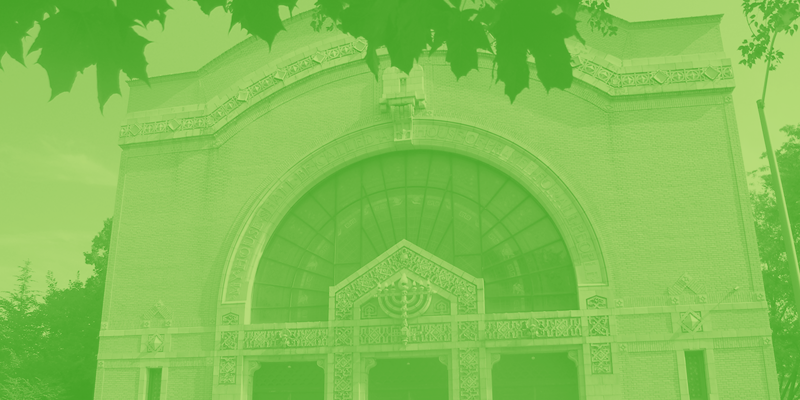 Freehof Hall: the main banquet and reception space at Rodef Shalom. The room can accommodate an estimated 400 guests for a seated reception or 300 guests with a reception and dance floor. To further enhance your enjoyment of Freehof Hall, you may utilize Wechsler Gallery which is included in the rental fee. Falk Library: a stately room well suited for meetings, presentations, and workshops with accommodations for 35 people. Levy Hall: used for events that requires the use of a Blu-ray, DVD, CD, or VHS player and screen for audio visual presentations and lectures. The room has two small balconies and can accommodate up to 280 people. Food and drink are not permitted inside Levy Hall. Lippman Library: used for round table discussions, lectures or meetings for groups up to 40 people. Beverages are permitted. 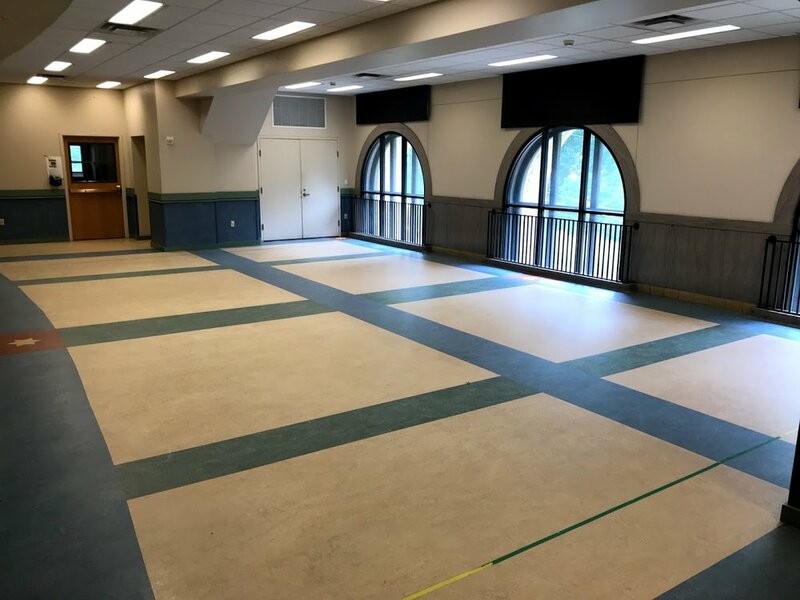 Multipurpose Room: can accommodate approximately 40 people for a seated meal and often used for a variety of activities such as children’s parties, meetings, or workshops. Small Dining Room: a cozy and intimate space for sit down breakfasts, brunches, luncheons, dinners or meetings. The room can accommodate 15 – 25 guests.